This will be my last blog sitting at my desk at home for a week. I have the wordpress app on my phone so expect short pictorial blogs for a week or so. Tomorrow we set off on a 5 day walk to Canterbury. Yesterday I went on a 12 mile walk starting from Reigate Heath. 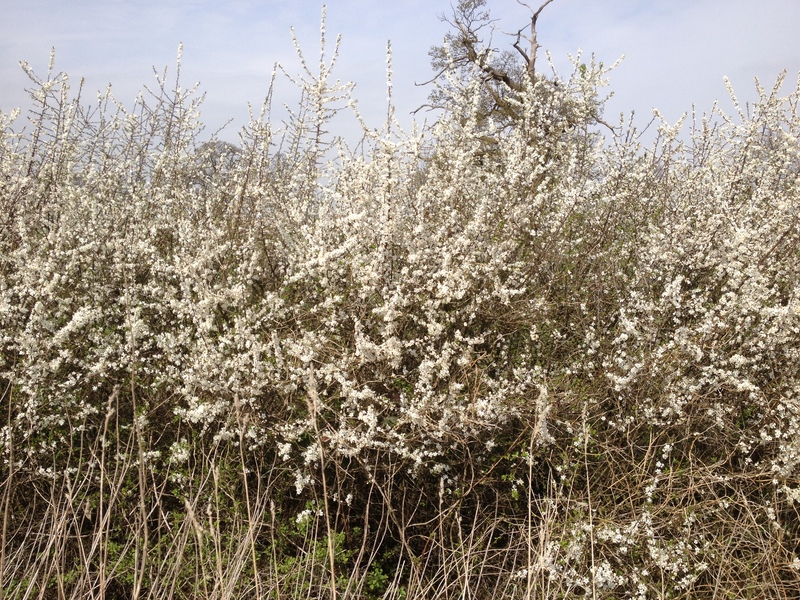 I quite like walking alone; you become very aware of sounds: bird song, planes overhead, and the scents of plants and other farm stuff. A few miles in I came across a traffic jam on a small country road. 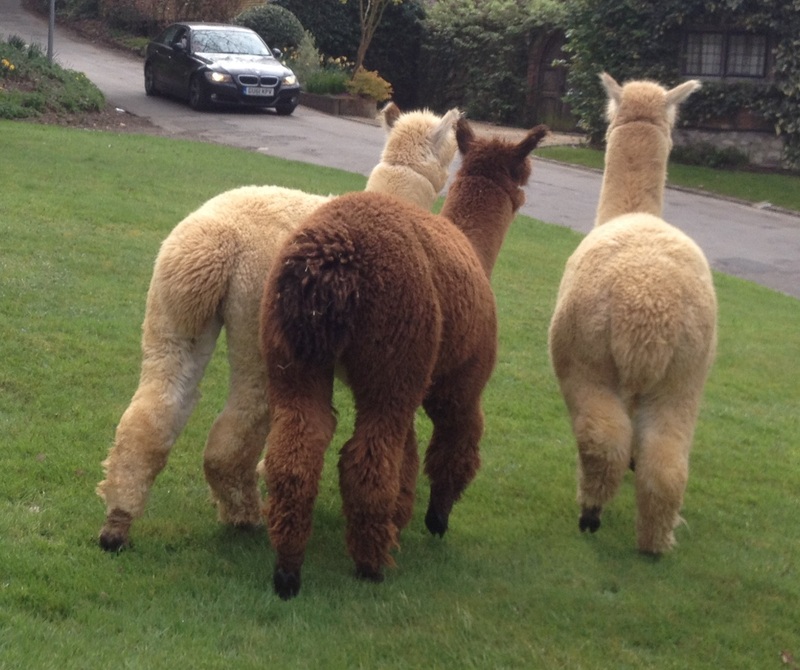 This was caused by three Alpacas which had escaped from a local farm. They seemed very happy wandering about and ignored their owners who were trying to round them up. They wandered around the green holding up the traffic with no worries at all. In early spring everything is odd colours. 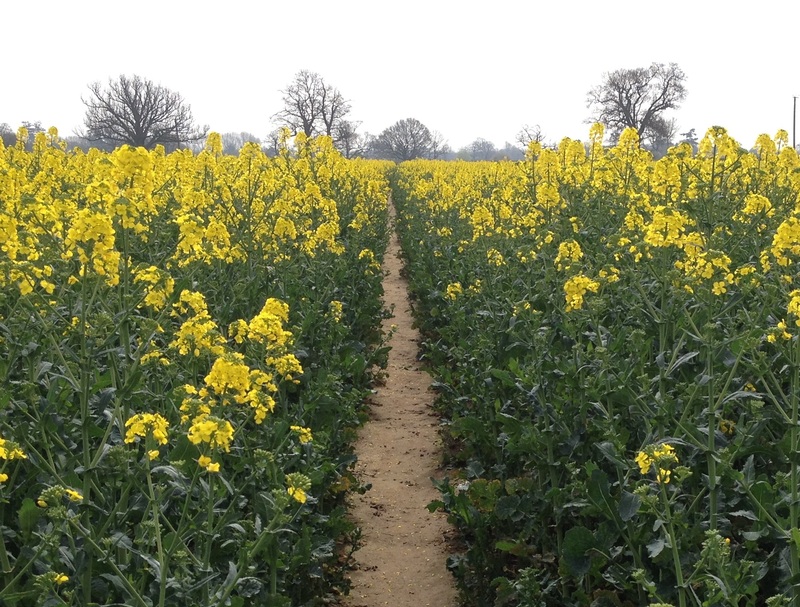 There are yellow fields full of rapeseed and white hawthorn hedges. I think I am ready for the pilgrimage. After 12 miles nothing hurt which was good although I was still tired. I’m still suffering some strange mood swings but these are getting less. Could I be missing work? 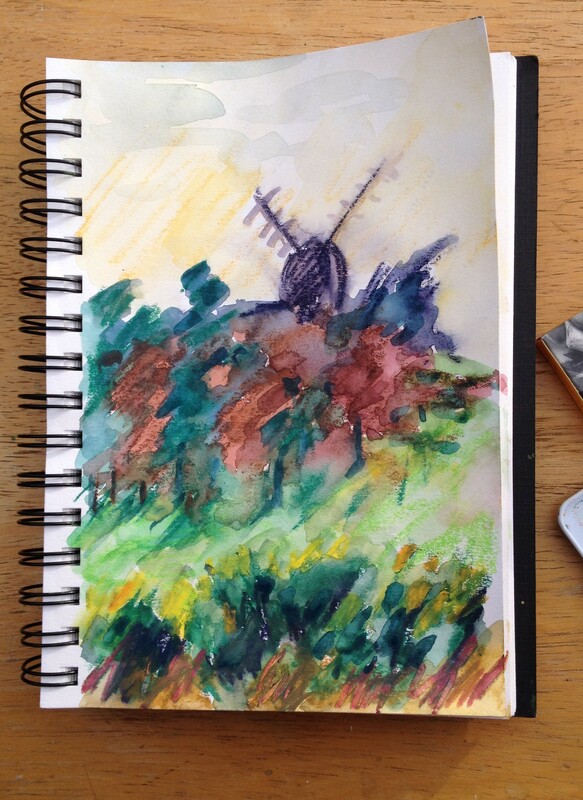 When I get back I’m going to get down to some proper oil painting which will keep me busier. 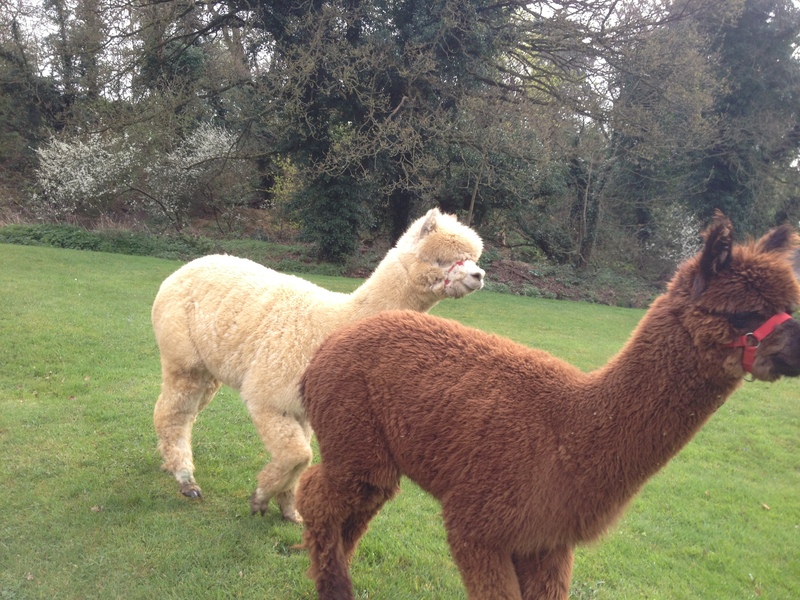 This entry was posted in Pilgrimage Diary and tagged Alpacas, Reigate Heath, Walking on April 4, 2014 by Monica's Books.